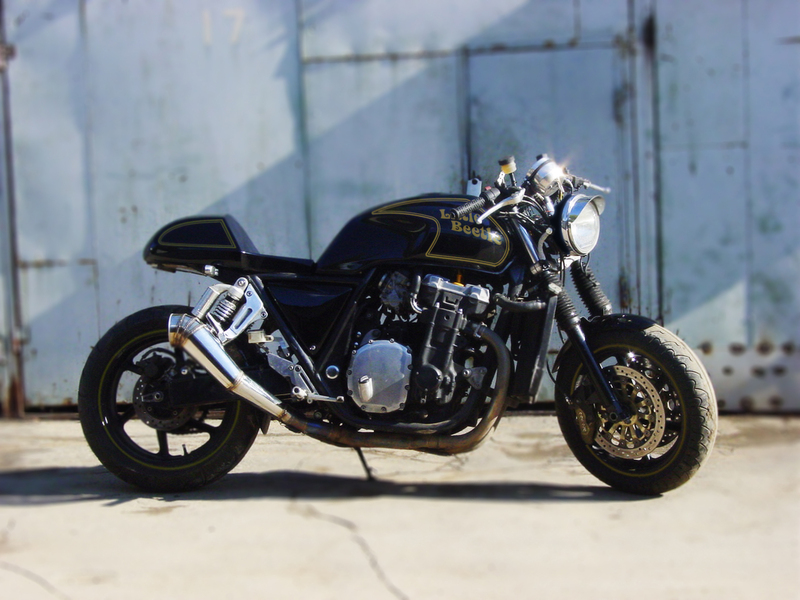 We were sent this CB1000 by one of our readers, Nik from Moscow. He built a lot of the bike himself. Nik hand made the clip-ons, tach cover and even the exhaust cans with titan pipes from Japan. It also has Brembo calipers, TSS shocks and a radial front master cylinder from a GSX-R1000. Unlike the popular CB550 and CB750 you don’t see many CB1000’s done cafe racer style. It actually makes a mean looking modern cafe racer and we take our helmets off to you Nik. [Unfortunately Nik crashed this bike 2 weeks after completing it. We hope it wasn’t too bad mate].